Blood oranges are simply beautiful. Their season is typically December through March. Don’t miss out on these gems! 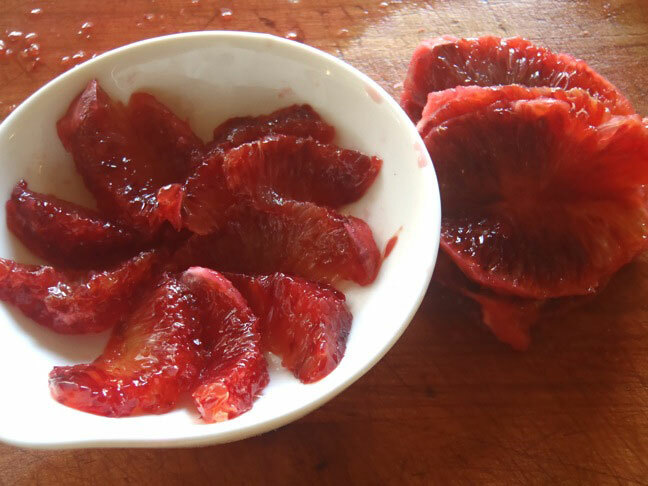 As with regular oranges, blood oranges are rich in antioxidants and vitamin C! These are absolutely wonderful in salads, in desserts, in sauces, and just on their own. They are a delightful combination of sweet and sour. 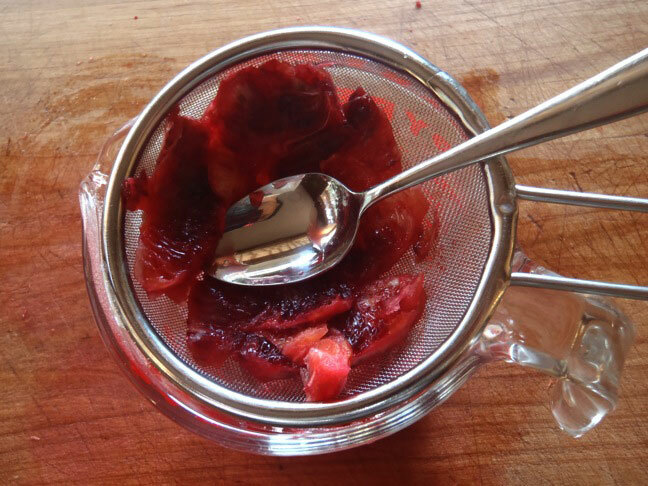 Here I’ve used them to create delicious preserves, which you could also use as a great gift idea when you want to give something that is unique and is more personal. 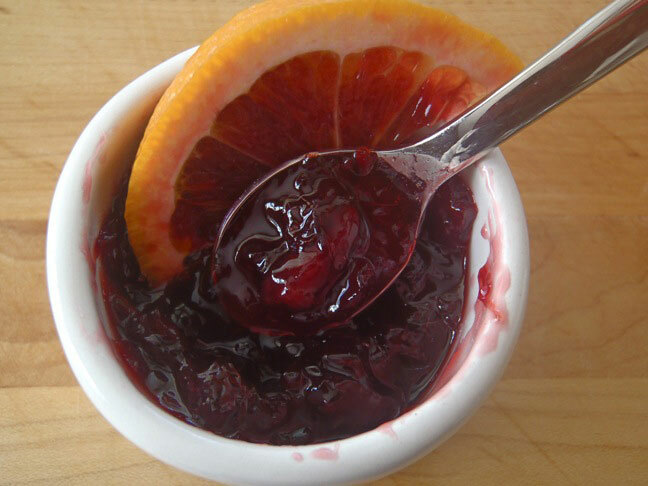 With a touch of vanilla and a lovely, thick texture, these preserves are absolutely divine! 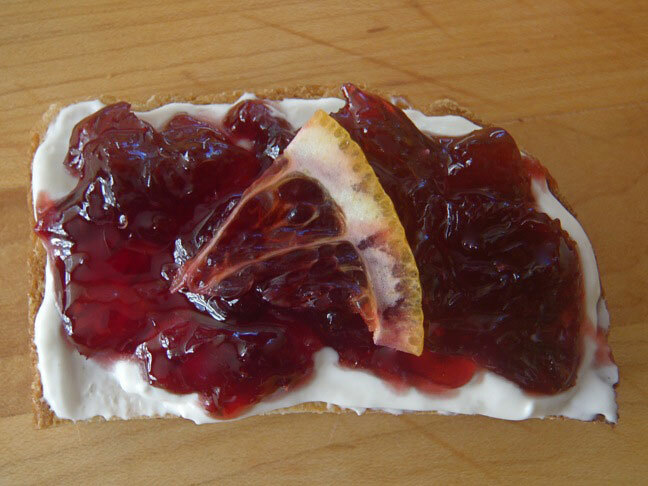 My family especially loves this spread over cream cheese on toast. Yum! Step 1: In a small sauce pot, combine the water, sugar, and vanilla. Set aside. Step 2: Cut the blood orange into "supremes." This is a way of removing the skin and all of the membranes that surround the flesh. 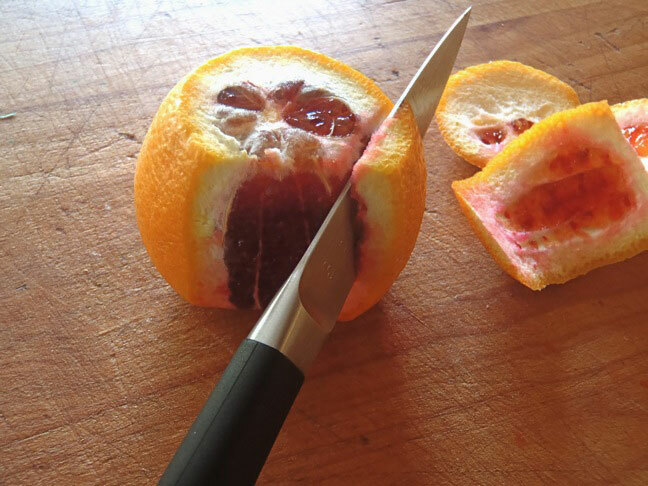 To cut the supremes: On a cutting board, use a paring knife to cut about 1/4-inch off the top and bottom of each orange. 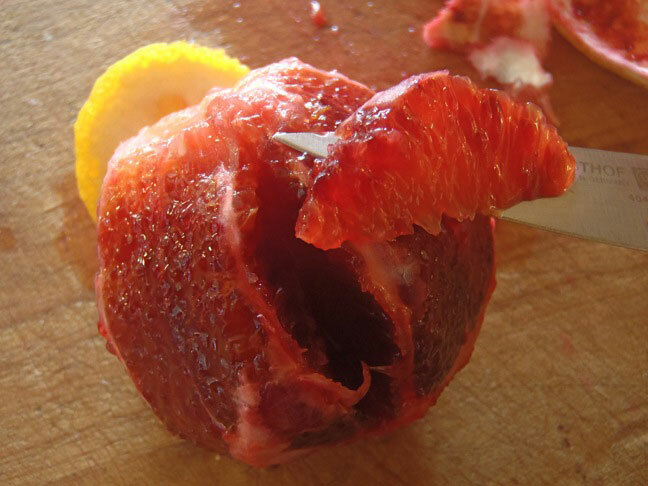 Now to remove the skin, set the oranges down on one of their flat surfaces and use the knife, moving downwards into the fruit and cutting only slightly into the flesh. Step 3: Once you've removed all of the skin, use the paring knife to slice on each side of each orange segment and gently pop it out. Step 4: Place the supremes into the pot with the water and sugar as you go. Step 5: Save the remaining parts of each orange and use a teaspoon to press their juices through a small strainer and into the pot. You can also squeeze any of the skins with excess flesh to get out all of the juices. Repeat this process with all 4 oranges. Step 6: Bring to a boil over high heat. Then stir to be sure the sugar is dissolved, reduce the heat to low, and simmer until it becomes thick, about 30 minutes. So delicious and easy to serve with a little cream cheese on toast!